Blog - INTRODUCING THE PILBARA COLLECTION® EST: 2006! INTRODUCING THE PILBARA COLLECTION® EST: 2006! 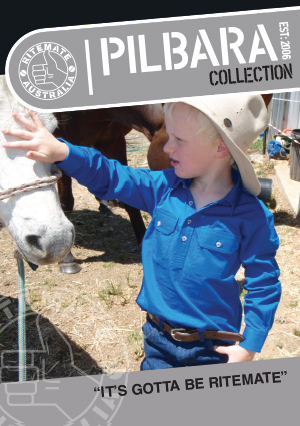 From corporate to country, the Pilbara Collection has something to suit you! Ritemate Australia – Pilbara Collection is an innovative brand that is rapidly expanding on the Australian market. When asked “what is the point of difference between Ritemate Australia – Pilbara Collection and other more well known and longer established brands”, we are proud to say that though, Ritemate Australia – Pilbara Collection is ‘the new kid on the block’. With Ritemates vast experience and wealth of knowledge within the textile & clothing industry allows them to offer consumers, through selected stockist a range of high quality garments with value for money in our brand. Ritemate Australia – Pilbara Collection is backed up by the three important elements essential to the needs of consumers: “Service, Quality & Price”.